1. Pick up the white ball on the ground and put it into the maze on the right side. 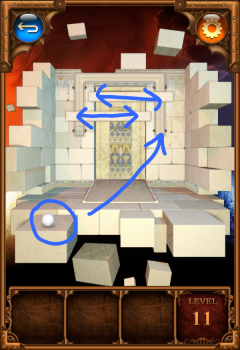 Turn your phone/device so the ball reaches the end on the left side. Slide the tan blocks to move them left and right so the ball can pass.